Let’s face it, winter has come to stay here in Edmonton. We’re heading into long cold nights. But as a winter city, we don’t need to hibernate for the next 8 months. Instead we can embrace outdoor living even in cold temps! 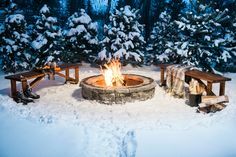 Fire places and fire pits allow us to experience the outdoors while staying warm and making new winter traditions with family and friends. 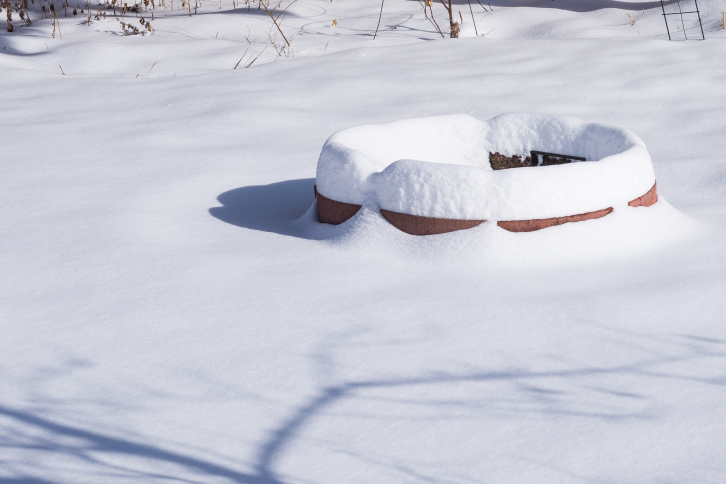 1) Similar to your BBQ, use a lid or cover for your fire pit to keep it clear of snow. If there’s snow that has already gathered in the pit, shovel out as much snow as possible and then pat down the rest into a solid, compact surface. 2) Starting a fire with wet, soggy wood is challenging so plan ahead by keeping firewood in a covered, dry place. Use newspapers as kindling and once the fire is going, place logs near the fire for easy access and to dry out the wood further. 3) Clear snow to make a path to the fire pit. If you have a stone or cement path to the fire pit, you can even sprinkle salt to dissolve and prevent ice buildup. 4) Make it easy to find your way to the fire pit by adding lighting along the patio or pathway. There are many solar lantern options available or string lights in nearby shrubs or trees to create a magical glow in the backyard. 5) Plan ahead and clear snow off of seats benches. Consider adding cushions as an extra layer from the cold seating surface. Or store folding chairs in a warm place so they can be easily set up so guests don't have to sit in an icy chair. 6) For extra cozy factor, get a few throw blankets for guests to pile on. Blankets can be wrapped around shoulders to keep your back warm while it's facing away from the fire. 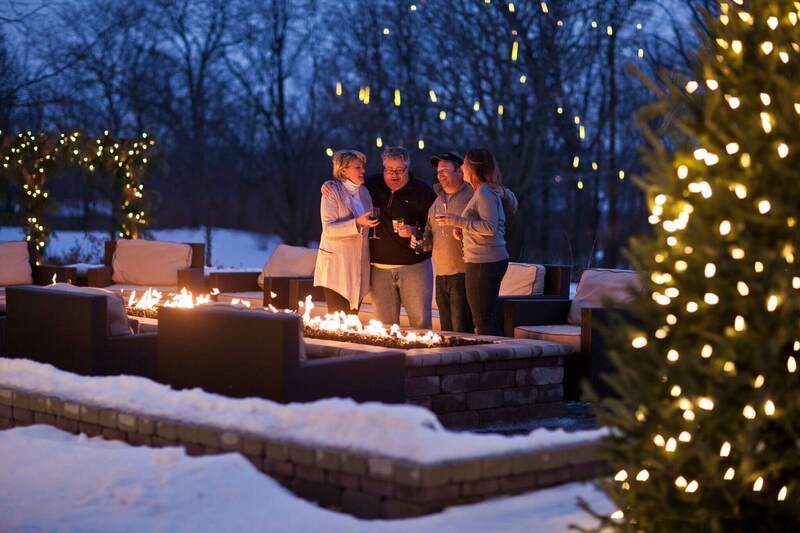 7) A fire pit isn't complete without drinks like hot chocolate or baileys and coffee! Prepare thermoses or use insulated cups to keep drinks warm. Just add roasted marshmallows and you're set! If you don’t have a fire pit installed in your back yard, it's not too early to start planning your summer landscaping projects! We have a great guide on how to install a fire pit. For questions regarding your landscape plans or about Edmonton landscaping supplies, please visit us in St. Albert or join our community of gardeners, DIYers and expert landscapers on Facebook.